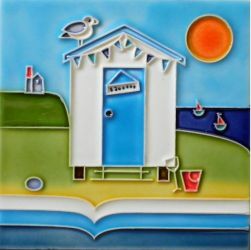 This colourful coaster tile is designed by Cornish artist Kate Pearson and is one of a set of designs from this artist in our range, suitable for bathroom and general use around the house. The tile is supplied inside a presentation box, with a cork backing and pull out hanging hook. The tile can either be used as a coaster or a hanging tile. 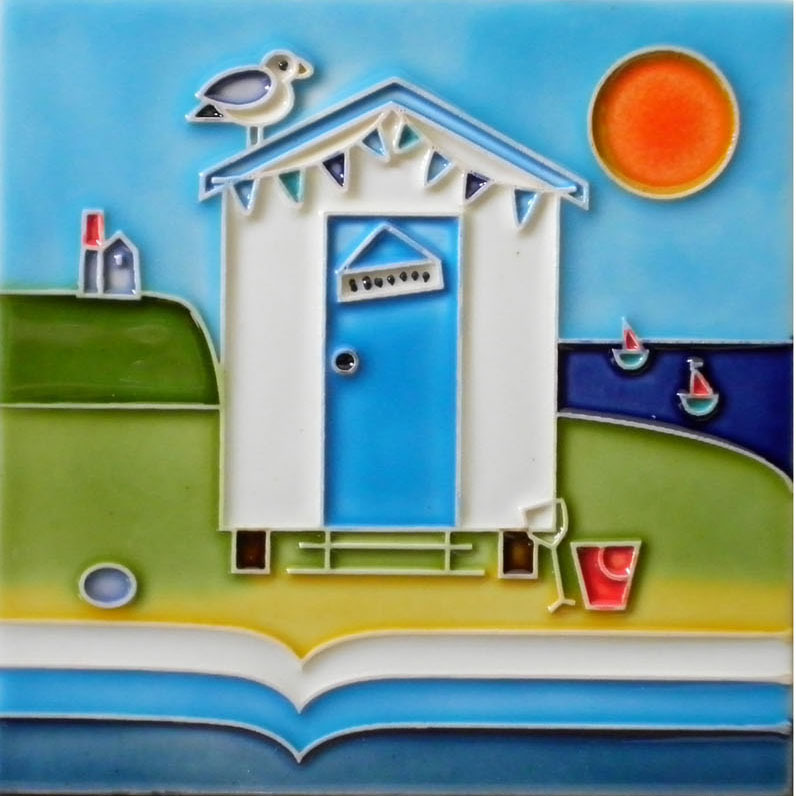 If the backing is removed it can also be tiled on to a wall.